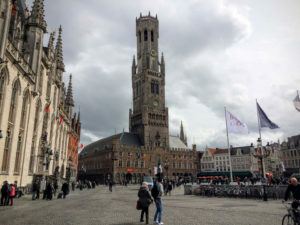 I was dreaming about visiting Bruges ever since I first watched ‘In Bruges’, a great dark comedy staring Collin Farrel, Brendan Gleeson and Ralph Finnes. 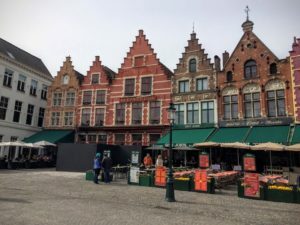 And it finally happened, last weekend I went on a day trip to this cute and charming Belgian town. 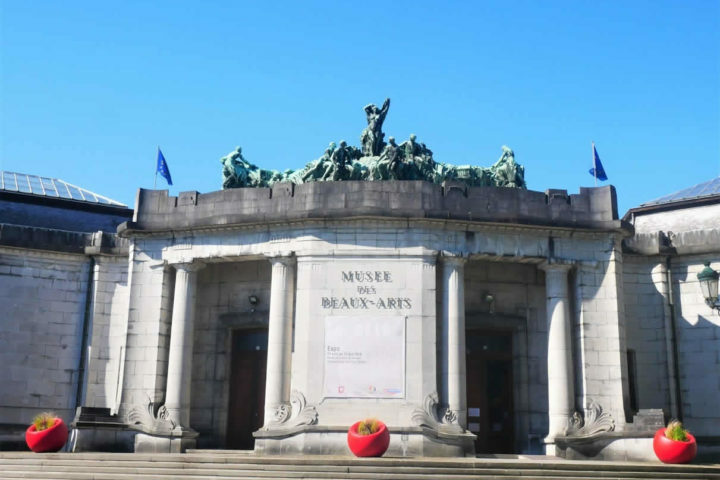 I was very busy lately with starting my own business, doing a lot of museum guiding and working late most of the days, so I needed one day for myself. 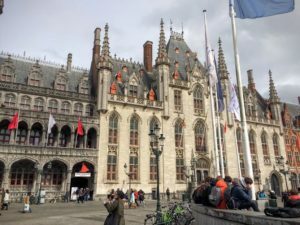 That’s why I took it really slow and was mostly enjoying a beautiful medieval architecture and, of course, Belgian cuisine (and beers). So here is how I spent my lazy day in Bruges. 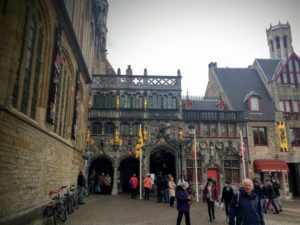 I came to Bruges around the noon and since I had only few hours to spend there, I first went to an one-hour-long guided tour. It actually wasn’t just a leisure trip, because I was making a review of a tour, but was a nice extra I had to make. Although, I did my research about the town at home, it was nice to have a local guide that can show you the most important buildings and tell you some stories about them. We started by walking along romantic Minnewater – the Lake of Love, that was full of swans, which made it even more dreamy. 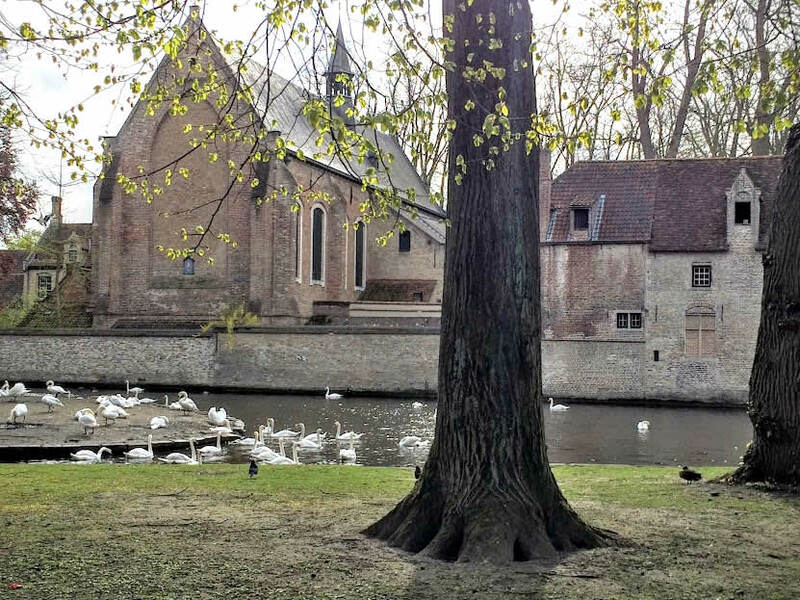 It leads us to Beguinage – a monastery established in 1245. 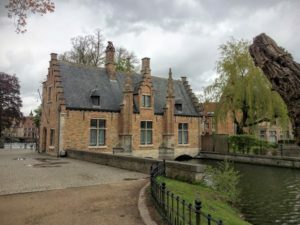 The Beguine sisters, which in contrast to nuns, did not take vows and were entitled to leave at any time, lived here for centuries (today it is used by Benedictine nuns). 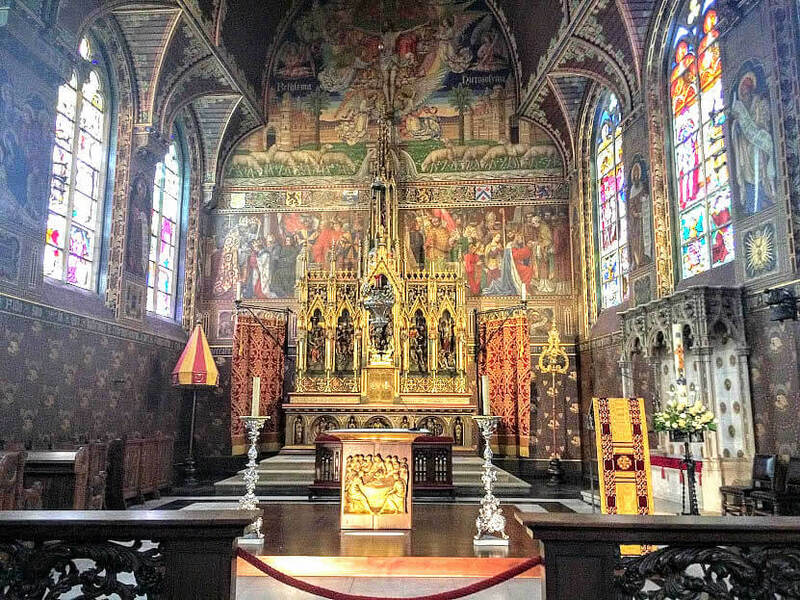 Just five minutes walking away is Church of Our Lady – a church with one of Michelangelo’s masterpieces, ‘Mother with Child’ (it is the only church in Bruges for which you have to pay an entrance fee). 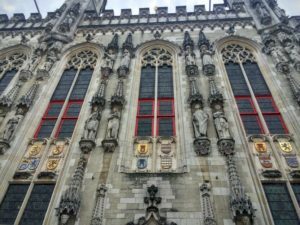 Opposite to it is St. John’s Hospital – one of the oldest Europe’s medieval hospitals (dates from 12th century), that was in use until 1978. The shopping street led us to the main square, the Grote Markt. The most remarkable edifice there is the Belfry, a tower that served as a symbol of a town’s freedom and wealth. From its top an amazing view to the town can be seen. 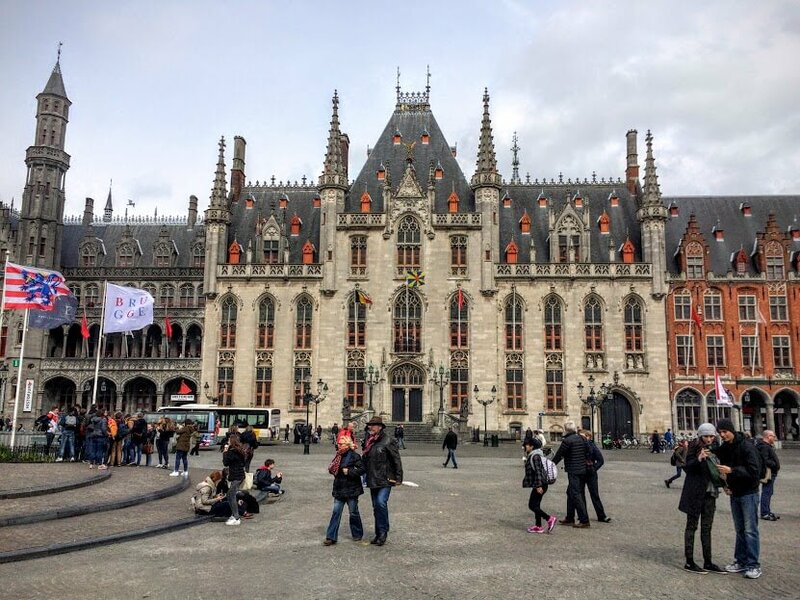 Neogothic Provincial Palace that is still used as official residence of the governor of the West Flanders Province is placed on its left side. Next to it is Historium in which tourist office is situated – there you can get useful info about events, together with a free city map. The other important square only a few minutes walking from there is Burg Square with a 14th century City Hall on it. 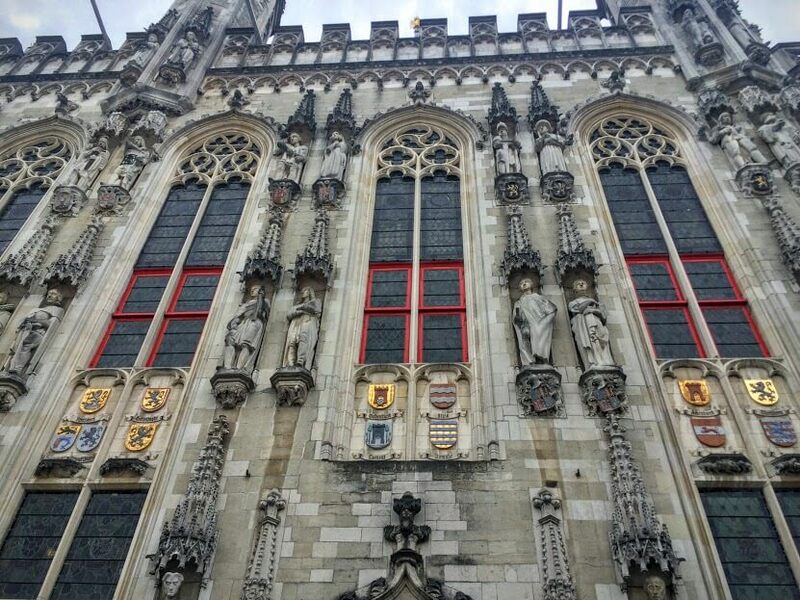 Its Gothic hall on the first floor is opened for the visitors. 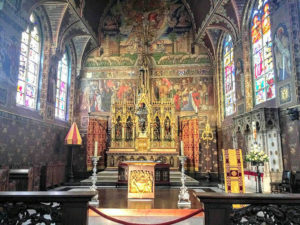 One of the churches with the most beautiful Medieval interior is placed just next to it – Basilica of the Holy Blood. It is also Bruges’ oldest building, with a Romanesque part that dates from 12th century. 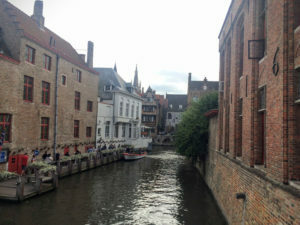 Behind the city hall is the location of the first town halls with one of the typical town’s canals. There is also one of the stops of a tour boats. It was very cold when I was there, so I decided to skip it this time. 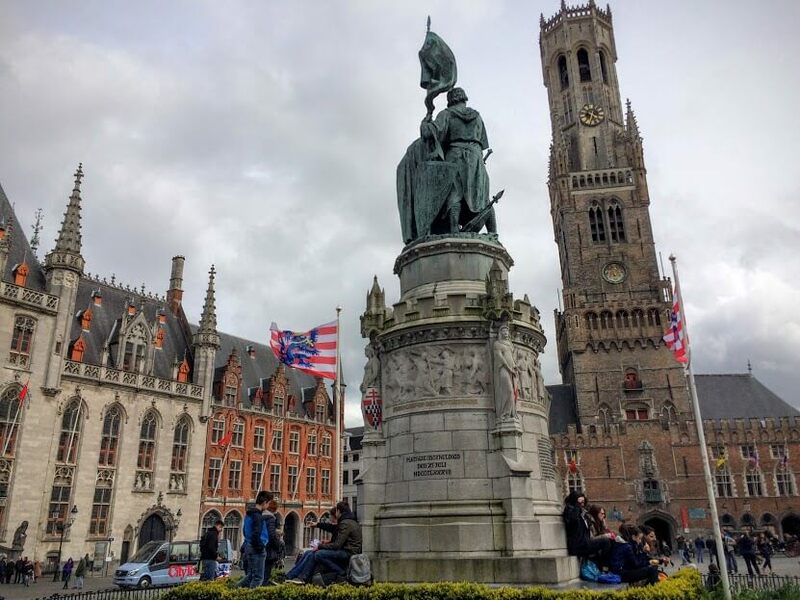 After the walking tour, I definitely felt ready for a lunch. 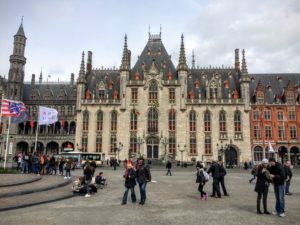 And, you know, I’m living in The Netherlands, and although I really love the country, well… I’m not so much in love with its cuisine. 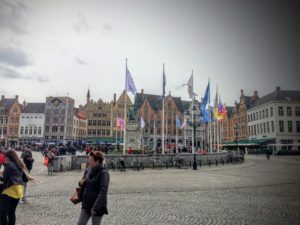 That’s why each time I’m going to Belgium (thanks god it’s close) I’m having a feast for the lunch. 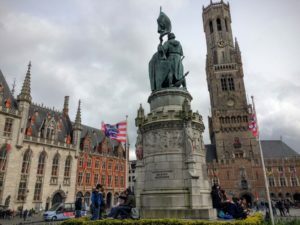 Which is not so hard because Belgian cuisine is truly amazing and it is not hard to find a nice restaurant with a great food and decent prices. 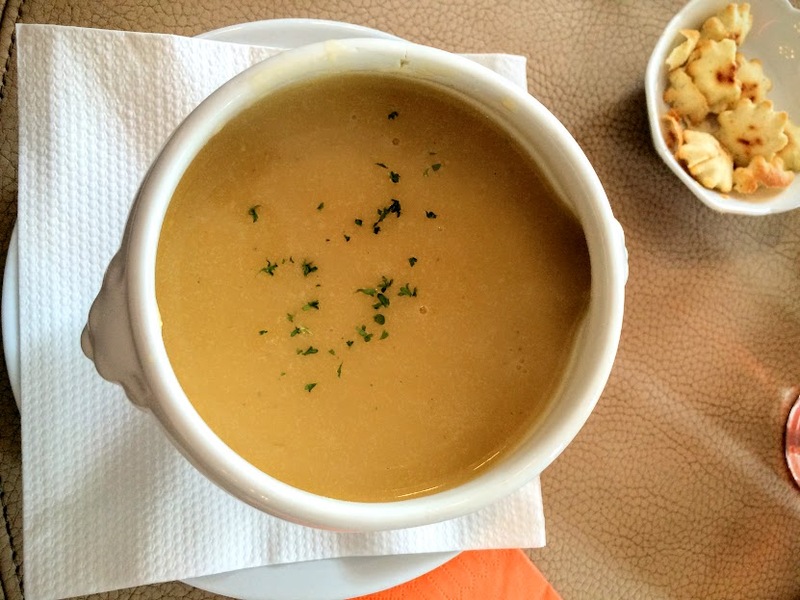 This time I went to Restaurant Dell’ Arte where I had a very nice vegetable soup as a starter and a fish with vegetables and the most amazing mashed potato I ever had. It was simple dish, but with great combination of flavors. And the price was great as well (around 15 euros for the menu). If I don’t have something sweet after lunch, I’m feeling dizzy and become super grumpy. 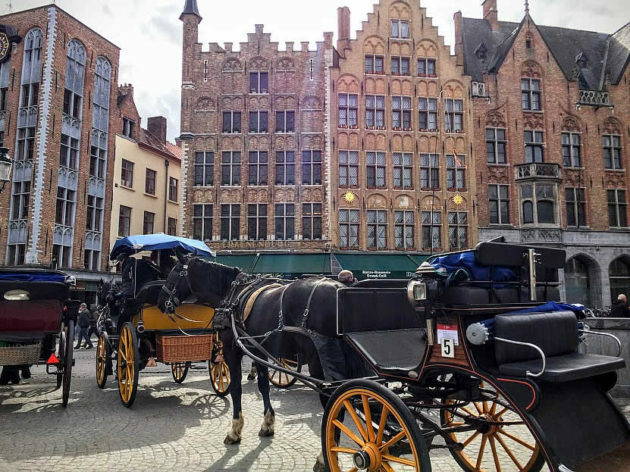 And is there a better choice than the queen of a desserts itself – the Belgian chocolate. 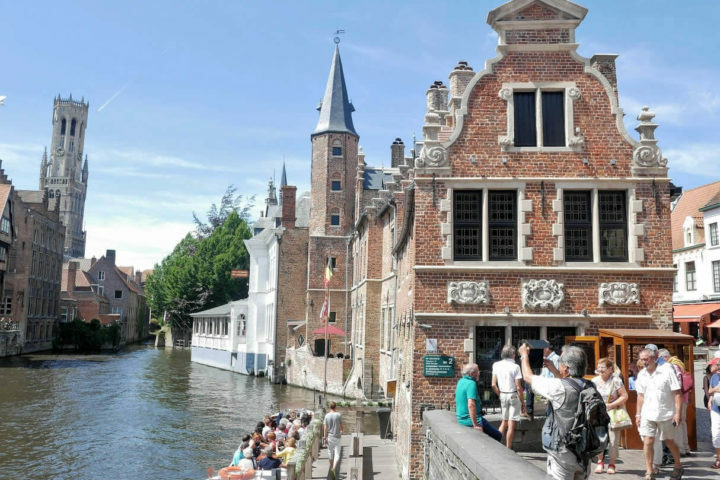 That’s why I headed to the Choco Story, Bruges’ chocolate museum. And although their website says they are open until 5 PM, I was informed that the last entrance to museum is at 4 PM. I don’t have to describe my disappointment, especially with the fact that I missed it for only ten minutes. 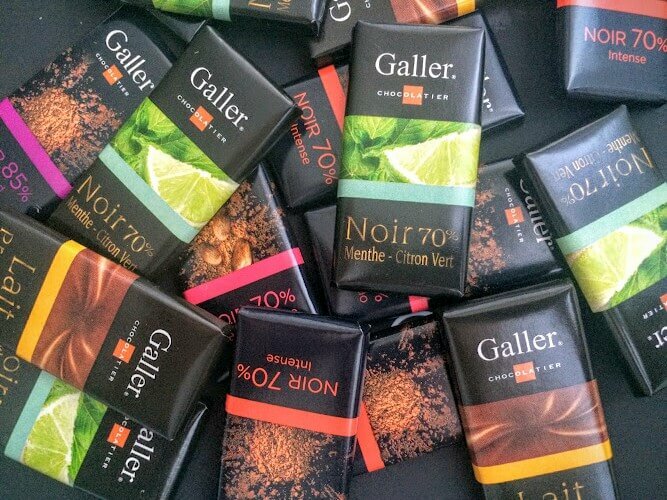 So, instead of going to the Choco Museum, I went to choco tasting at one of the most famous Belgian chocolateries, The Galler. And this time, I wasn’t disappointed at all. A lovely lady there showed us some of the most delicious truffles I ever had. Chocolatery has a long tradition, it was the first company to create a dark chocolate enriched with 70% cocoa, as well as being precursors in white chocolate of high quality (definitely, my favorite). According to Wikipedia, there are around 180 breweries in the country, so there is definitely something for everyone. 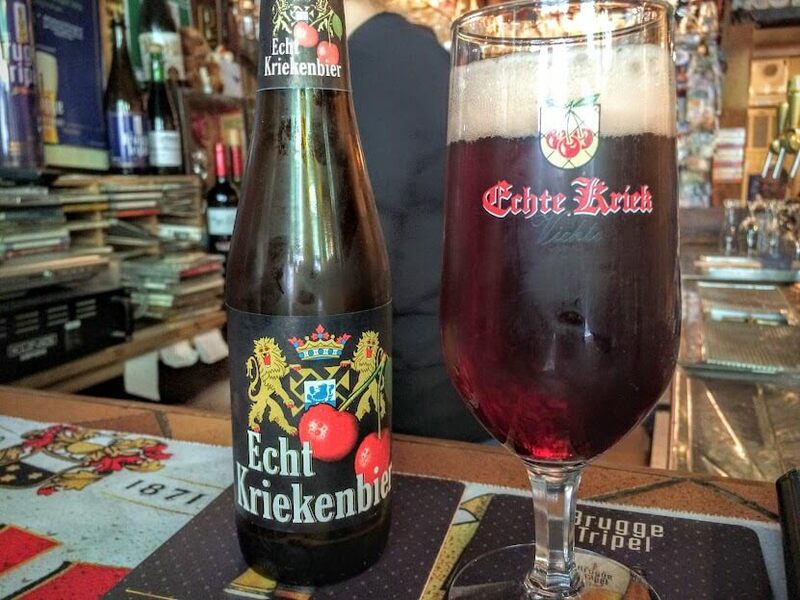 My favorite are fruit beers, so whenever I’m in Belgium I’m trying a new ones. 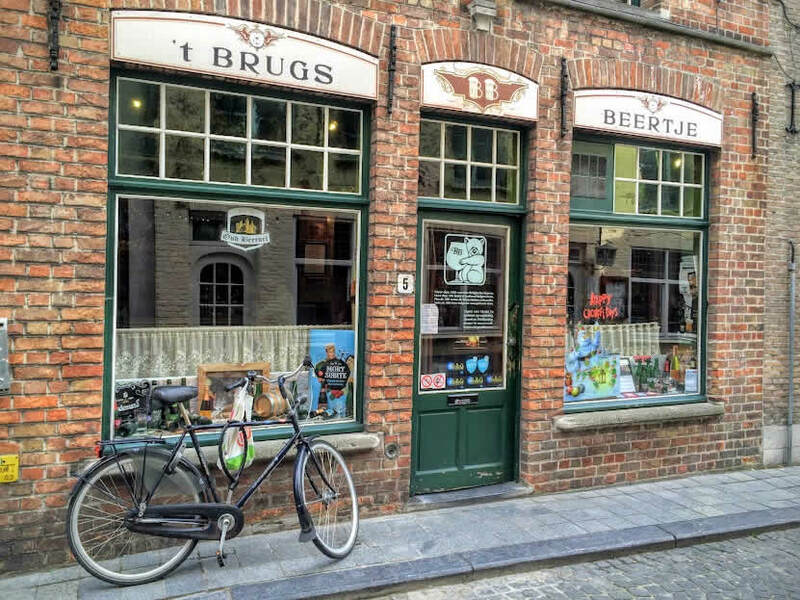 I believe there is no better place to try some of the best beers Belgium is offering, than ‘t Brugs’ Beertje. 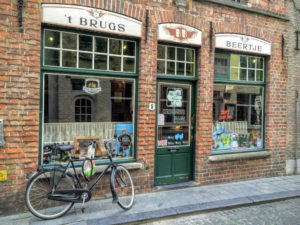 That lovely beerhouse offers around 300 different Belgian beers. I’m absolutely recommending this place! This time I tried one made with cherries and one with cranberries. So, after it I went happily home. 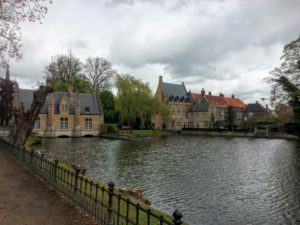 It was a short, sweet and relaxed visit to one of the most beautiful Belgian towns. What are your favorite places in Bruges? Let me know in the comments below!